The Downside: It Takes Work! Mix model photos with mirror shots and individual photos of the item. You can also style your cover photo for more engagement. If you’re able to find the original item listing online, easy: copy & paste. If not, get creative, get to writing and forget to take measurements. 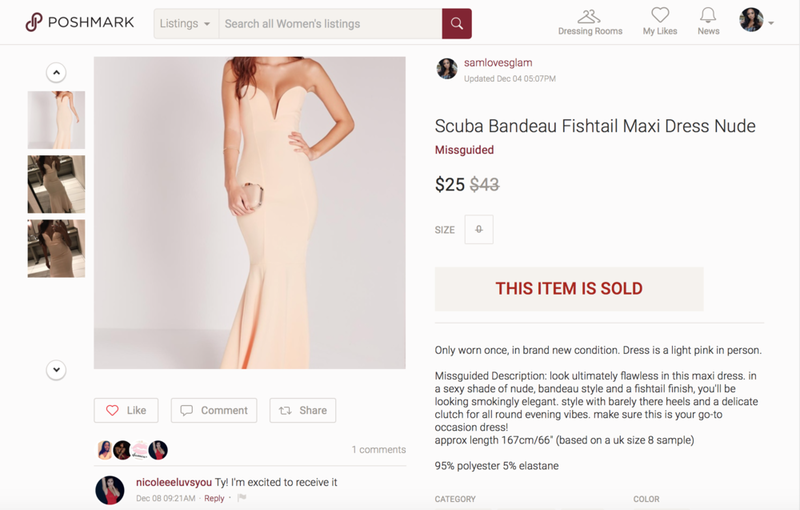 Search the web for original pricing and other Poshmark sellers as a benchmark for your listings. After you’ve posted, ‘like’ postings from similar brands & sellers, then share others’ listings. This increases the likelihood your items will sell & exposes your listing to more potential buyers. When the item sells (because it will after you’ve followed my steps), find free boxes at your local post office, print the shipping label and send away! Make sure you wrap your item(s) in tissue paper and provide a ‘Thank You’ note! You can purchase inexpensive cards at places like Ross, TJ Maxx or Home Goods. If you have quick access to a printer, you can print your own cards too! Excess Clothing + Hard Work, Pays Off! On average, I set aside two hours a week to do all of the steps above. In one week, I can make up to $200, paying myself back $100 per hour. The time and effort is worth it and a much better return than Plato’s Closet. 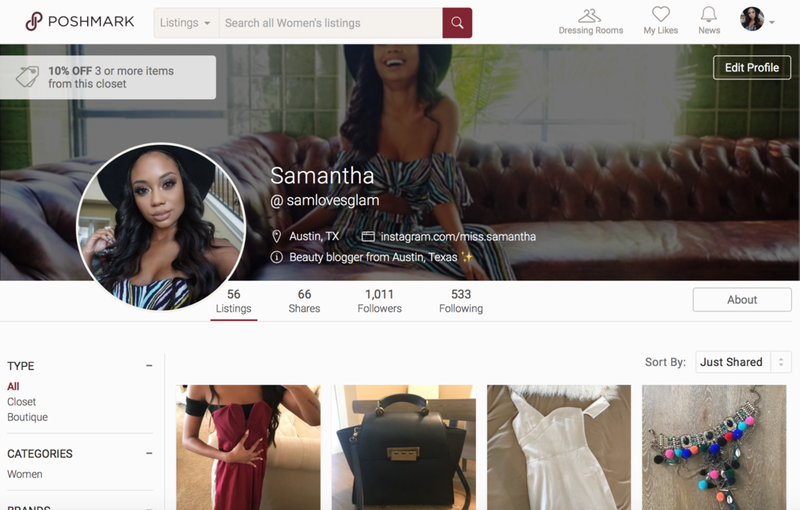 I hope this blog post inspired you to Poshmark & try something new. But if not, I get it! It’s not easy. If you’re in the Austin area and want me to sell for you, email me at info@samlovesglam.com.